The Office of University Advancement and External Affairs supports the university’s teaching, research and public service missions by forging partnerships with corporate and civic organizations; developing quality marketing programs that enhance the institution’s reputation; and maintaining positive relationships with the university’s alumni. Our office works closely with campus and external stakeholders to achieve institutional goals, and is responsible for all internal and external communication, marketing, alumni relations, donor relations, community relations, and special events planning. 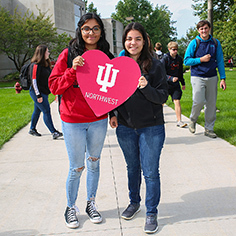 Your philanthropic support matters; help pave the way for student success at IU Northwest. 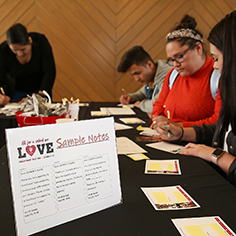 Giving to IU is easy. Click the ‘Give Now’ image to make your gift.